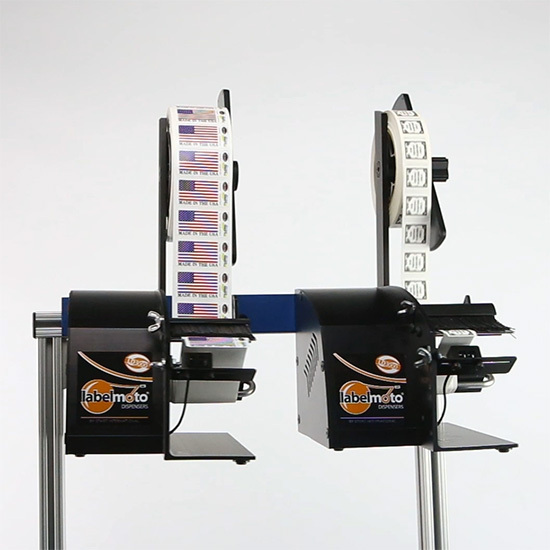 The START International LD3000 high-speed electric label dispenser is the updated model of the LD2000V. 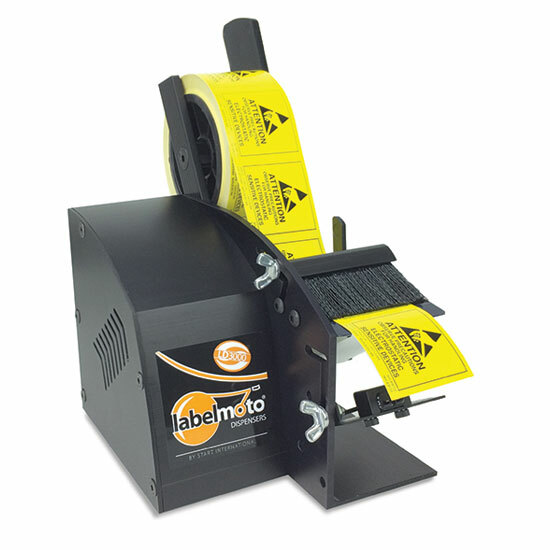 It dispenses small labels and die-cut parts made from paper, polyester, vinyl, acetate, foam, foil, and other materials, and is designed for small work areas. The LD3000 has a photosensor, which ensures that the unit peels, dispenses, and advances the label roll accurately and consistently. The liner scrap is automatically rewound for a clean working environment. No tools are required to adjust the dispenser for different label sizes. The dispenser housing is made from anodized aluminum for durability. 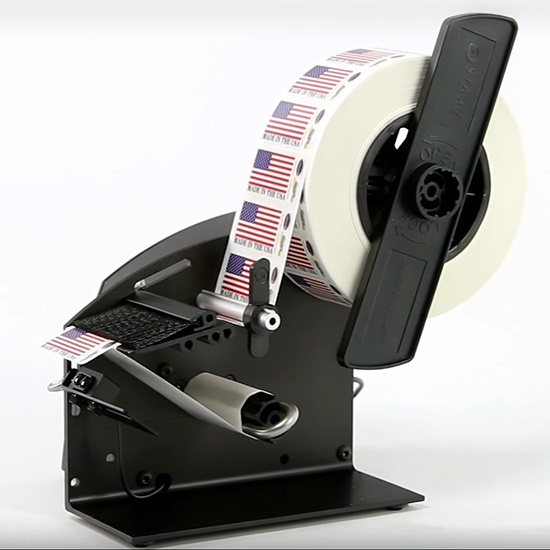 The LD3000 label dispenser operates on 12 VDC, using an included 100-240 VAC universal transformer. This label dispenser is made in the U.S. It is suitable for industrial uses such as manufacturing, assembly, and packaging.